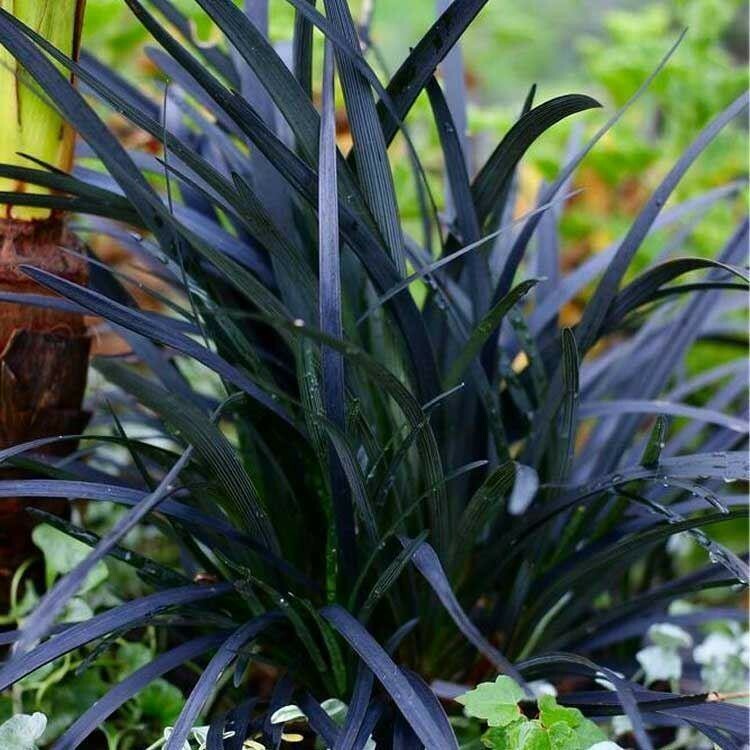 An award winning grass-like plant with low-growing tufts of very dark purple blades. , that actually appear to be black. 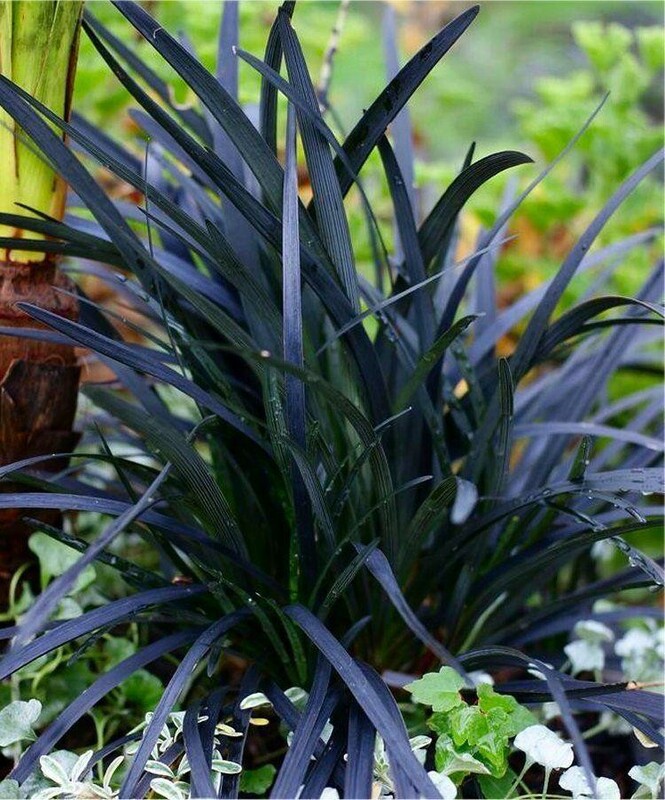 Racemes of pale lilac-pink flowers appear among the foliage in summer, followed by black berries in the Autumn. 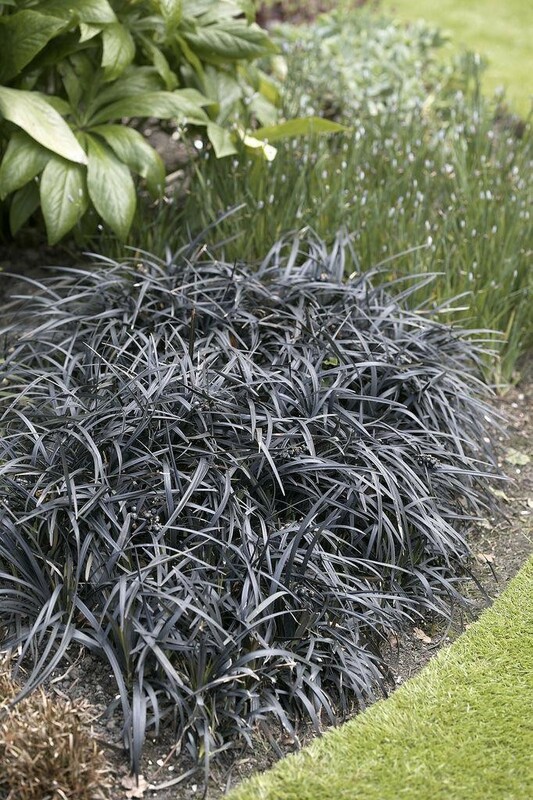 Looks fantastic with other grasses, especially if grouped in tubs, it provides a brilliant contrast with most other plants. 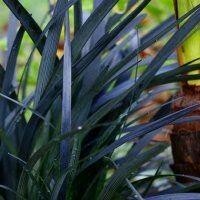 Established plants supplied in approx 1-2 litre containers.